I’ve been obsessed with Her’s for some time now. Whoever made this video knows exactly how i feel about everything and everything else. I know, I know. I haven’t really been updating anything on this site. To be honest, I don’t really know how to use this site except for using it as an archive of the markets I attend. Well, where do i start. It’s been a little over a year already since i moved to Saigon. It was hard for me at least, mostly because of the heat here. I am a winter person. I am talking -30 -40 Russian winter type of weather.. I had someone ask me last week, what am i doing here hehe.. It’s tricky question always for me.. I always end up telling them it’s because of food. Because it really is one of the biggest reason i moved here. Other than that, I moved twice and managed to have my own little working space. My other supposedly side job took over my life and now jewelry making is the side job. Not gonna complain coz the other one brings bread to the table. I think i might use this space to just update and record what i have been up to here and there and plus an archive for my jewelry happenings. To sum it up, i am super happy where i am right now. oh oh i also developed a new hobby – indoor/urban gardening… i don’t know how to describe it. But i will talk about more of it next time. Time: September 22nd Saturday 10:00 – 16:00. Location: The Avenue Cafe and store ( google map ) D7. Hello, So i will be joining with a few other lovely designers and creators this Mid-autumn day festival ( we decided to call it Autumn moon 😛 ) at another pop-up event in D7. There will be jewelry, bags, clothes and calligraphy prints and etc for you to look through. It would be lovely to see some of you and don’t be a stranger come say hi to us or invite your friends to our event as well. 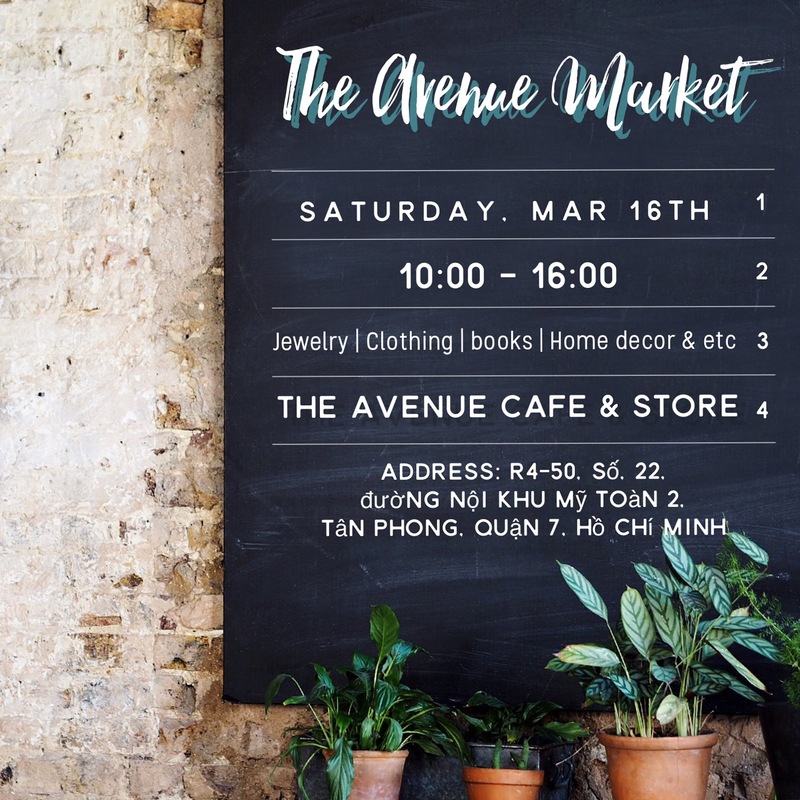 Smog jewelry is now available at The Avenue Cafe & Store in Phu My hung. Here’s the address: R4-50, So, 22, duong Noi Khu My Toan 2, District 7, Ho Chi Minh City, Vietnam. You can also search ” The Avenue Cafe and Store” on google map to find the way. Tomorrow Smog will be at saigon outcast from 12:00pm – 8:00 pm. Saigon Outcast: 188 Nguyen van Huong , Thao Dien, Ho Chi Minh City.